While political analysts discuss who won the first presidential debate Wednesday night, the Internet has already weighed in on winners and losers of the night. One of the big winners of the night was Twitter, which reported over 10 million tweets ranging from Medicare to Big Bird. "Tonight's debate was the most tweeted about event in U.S. political history, topping the numbers from the RNC and DNC," Twitter spokeswoman Rachael Horwitz told CBS News via email. The most discussed moments included a zinger from moderator Jim Lehrer, who quipped "let's not" when Republican presidential canddiate Mitt Romney attempted to add an additional comment to his remarks before letting President Barack Obama respond to Lehrer's question. Twitter reported 158,690 tweets per minute during Lehrer's comment. Another big moment was when Obama told Lehrer, "I had five seconds before you interrupted me." The remark came as Lehrer cut in to announce the two-minute mark, during a heated response to an attack on the Affordable Health Care Act, which is often referred to as "Obamacare." Twitter reported 152,677 tweets per minute during Obama's comment. One of the most peculiar trending topics on Twitter was Big Bird. When Romney was asked what specific programs he would cut to reduce the deficit, he remarked that the Public Broadcasting System (PBS) would be a target of cuts. "I'm sorry, Jim, I'm going to stop the subsidy to PBS. I'm going to stop other things. I like PBS, I love Big Bird. Actually like you, too. But I'm not going to - I'm not going to keep on spending money on things to borrow money from China to pay for," Romney said. American astrophysicist Neil deGrasse Tyson defended funding for PBS by tweeting, "Cutting PBS support (0.012% of budget) to help balance the Federal budget is like deleting text files to make room on your 500Gig hard drive." His comment was re-tweeted 50,294 times and favoritde 9,445 times. The Internet immediately went to work to turn Romney's words into a joke that Romney would "kill Big Bird." The popular television character is one of the stars of "Sesame Street" - a children's educational show that is part of PBS. Twitter accounts @BigBirdRomney, @SadBigBird and @BigBird were created soon after Romney's comment and gained followers quickly. "Romney 2012. Soft on Wall Street...Tough on Sesame Street," @BigBirdRomney tweeted. The account has since been suspended. Actress Olivia Wilde added fuel to the flame when she tweeted, "And he wants to kill BIG BIRD." Wilde's comment was re-tweeted 4,732 times and favorited 1,336 times. Twitter reported that Romney's Big Bird comment peaked at 135,332 tweets per minute. Facebook's U.S. Politics page reported that Big Bird was the fourth most mentioned debate-related term, preceded by Romney, Obama and debate. Big Bird wasn't the most controversial subject of the night. That honor went to KitchenAid, the home appliance company. KitchenAid got into hot water when a staffer posted an inappropriate tweet from the company's official Twitter account. The home appliance giant quickly deleted the tweet and posted an apology to Obama, followed by an explanation via Twitter. On Facebook, the presidential debate was the third-highest event ever to be discussed on the social network. The 2008 election topped the list, followed by Super Bowl XLVI earlier this year. The states that were most engaged in the debate talk were Washington, D.C., Virginia, Maryland, Georgia, Colorado, Alabama, North Carolina, Florida, Delaware and Louisiana. 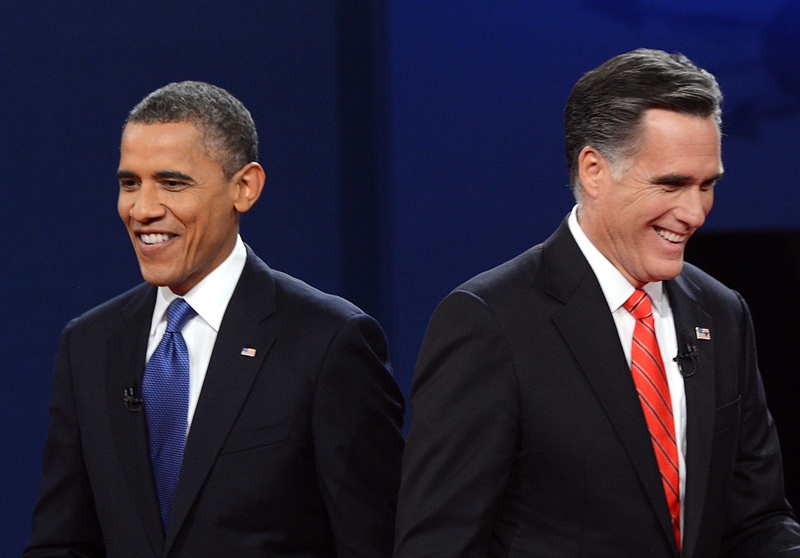 Two more presidential debates will take place on Oct. 16 at Hofstra University and Oct. 22 at Lynn University.